return it to Mom and the herd. The adorable tiny pachyderm was in dire straits. Not only was he more than a mile from his herd, there was a pride of more than ten lions hot on his trail for a quick snack. 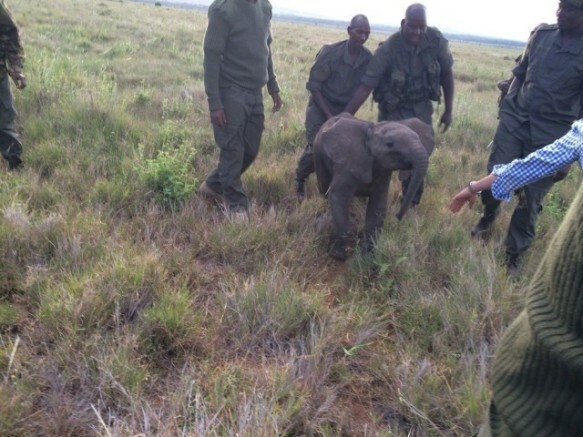 Rangers at the Lewa Wildlife Conservancy in northern Kenya hurried to help him. They closed ranks around him, much like a herd, and guided him back toward his family. 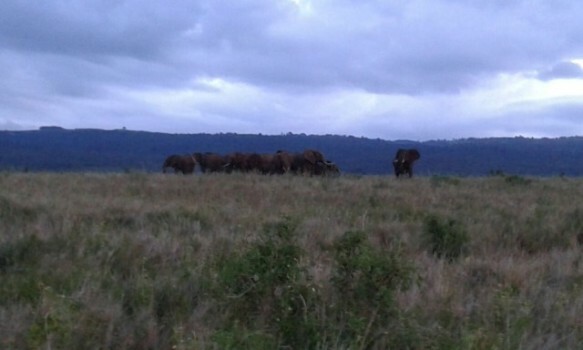 When they got close enough the mother broke off from the herd to come fetch her wayward baby. 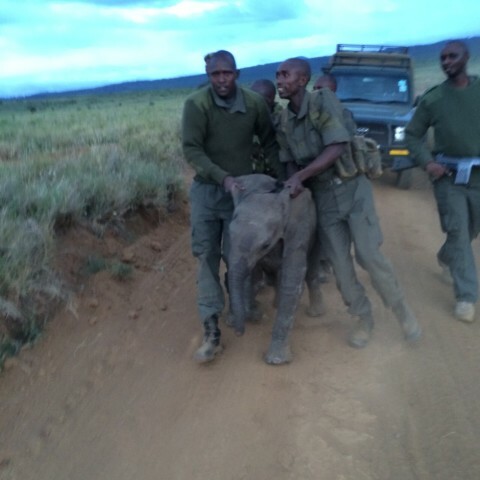 Mom steered him back to the herd and the rangers returned to their anti-poaching duties. Hopefully they won't be needed to save his life again -- next time from poachers. 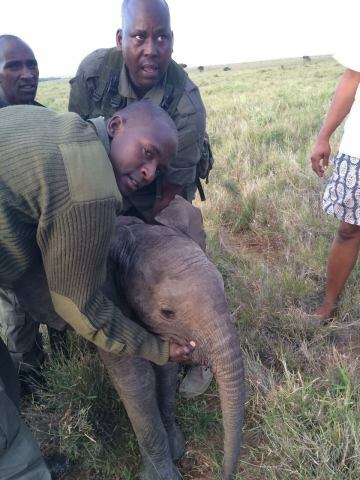 The rangers are responsible for watching over 6,500 precious animal lives. Score one for the good guys!